HTC U11 vs. Apple iPhone 7 Plus: Can Android champ beat Apple’s flagship? HTC has finally taken the wraps off of the HTC U11, the company’s latest-and-greatest smartphone. The device is sleek, stylish, and boasts some pretty impressive specs under the hood. Of course, it’s not the only phone that fits those criteria. 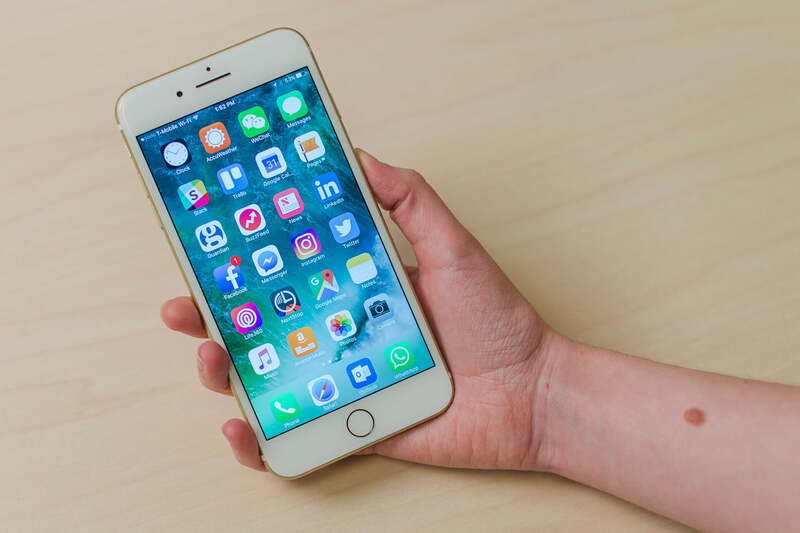 Apple’s iPhone 7 Plus isn’t just sleek and stylish, it was also the most powerful phone around when it first debuted in September. Whether you’re an Android or iOS user, the fact remains that the iPhone is an impressive device. But how does the newly-unveiled U11 compare? Here, we take a closer look at both devices to find out. It’s normally easy to compare Android smartphones because they often use the same Qualcomm-built chips. When comparing an Android device with an iPhone, however, things become a little more complex. The HTC U11 features Qualcomm’s latest chip, the Snapdragon 835, which has only been featured in a couple new phones since its launch. Now, pair that with 4GB of RAM — or 6GB, if you’re buying the more powerful international version — and you have a very powerful phone. The iPhone 7 Plus, in comparison, also features a very powerful chip — the Apple A10 Fusion, which partners with 3GB of RAM to run the iPhone. The U.S. version of the U11 offers 64GB of storage, while the international version provides 64 or 128GB. The iPhone, on the other hand, is available in 32, 128, and 256GB configurations. While there are more storage options for the iPhone, the HTC U11 does have a microSD card slot, so you can easily expand storage. Now, there’s a few things to consider when comparing performance, including processor speed and RAM, but the most important thing is how that hardware works with software to deliver real-world performance. That’s where benchmarks can help in comparing the two devices. While we haven’t received any benchmarks since the launch of the phone, before launch the device was spotted scoring 1,912 on Geekbench’s single-core test, and 6,137 on the multi-core test. By comparison, the iPhone 7 Plus scored 3,331 on the single-core test, and 5,520 on the multi-core test. In other words, it’s a little unclear who the winner is here. Most apps use only one thread at a time, meaning the single-core test is a better indicator of real-world use when one app is being used. However, if you start multitasking, the multi-core score becomes more important. Because of that, this one is a tie. The iPhone has long been hailed as the king of design, and the iPhone 7 Plus is the culmination of years of excellent design choices. The HTC U11, however, certainly doesn’t look bad. In fact, it looks pretty great. While the iPhone boasts a simple, yet sleek look, HTC has taken a shinier approach with the glass-backed U11. The back of the U11 is also quite simple, featuring only the camera and HTC logo. 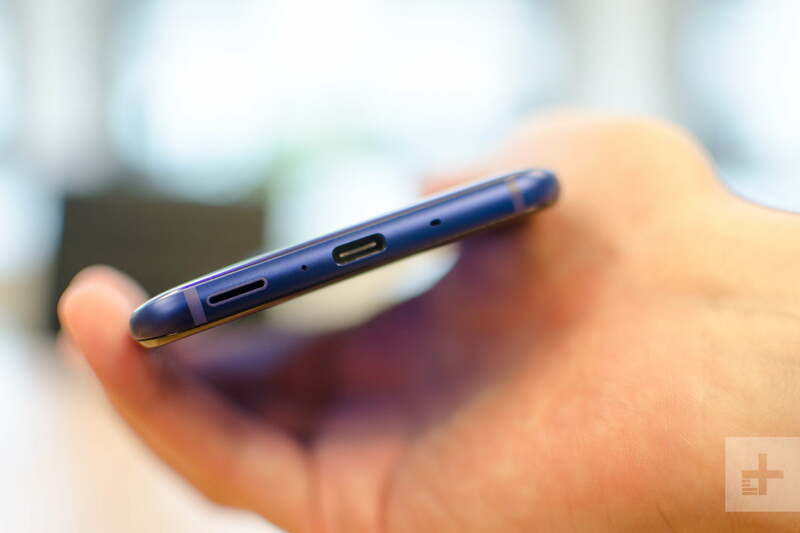 Phones are also becoming thinner, and while the new HTC U11 is thin, it doesn’t beat the iPhone, which sits in at 0.29 inches. Another important thing to note is that neither of these two phones have a headphone jack — you’ll need to go wireless or use USB-C/Lightning headphones to listen to your music. While design is largely subjective, the quality of a display is not. Both of the phones feature a 5.5-inch display, with the iPhone display being LCD and the U11 display being S-LCD. On the iPhone, you’ll find a 1,080 x 1,920-pixel display, which offers a pixel density of 401 pixels-per-inch. The U11, on the other hand, boasts 1,440 x 2,560 pixels, with a density of 534ppi. Again, while design is largely subjective, resolution is not. The HTC U11 is the winner here. The HTC U11 and the iPhone 7 Plus are pretty equal when it comes to battery capacity. The U11 has a slight edge in capacity with 3,000mAh over the iPhone’s 2,900mAh, and that extra capacity translates to longer battery life, at least in this case. While the U11 has a more power-intensive display, it seems as though the device also has a longer battery life. The U11 supposedly provides 24.5 hours of talk time on a single charge, while Apple claims the iPhone 7 Plus can provide 21 hours of talk time. The HTC U11 also offers Qualcomm’s Quick Charge 3.0, which allows you to get hours of use out of a couple minutes of charging. The iPhone 7 Plus has no such feature. The longer battery life and the inclusion of Quick Charge 3.0 make the HTC U11 the winner here. Apple has long been hailed as a leader in the mobile photography world, but the HTC U11 could be the phone to beat. The iPhone 7 Plus offers a dual 12-megapixel camera on the back, with optical image stabilization, phase detection autofocus, and an aperture of f/1.8. It also offers 2x optical zoom. The HTC U11 offers similar features — you’ll find a 12-megapixel camera with an f/1.7 aperture, optical image stabilization, and phase detection autofocus. While the iPhone 7 Plus certainly offers some great features in its camera thanks to the dual-lens, the U11’s camera is both better for low-light situations thanks to its larger aperture, and is rated higher by camera testing site DxOMark. The HTC U11 scored 90 in tests, while the iPhone 7 Plus scored 86. The front-facing camera on the U11 is also better. The iPhone 7 Plus’ front-facing camera sits in at 7-megapixels with an f/2.2 aperture, while the HTC U11’s selfie cam comes in at 16-megapixels. The U11 is the winner here, though, in some situations, the iPhone may offer a better shot thanks to its dual-lens and software.